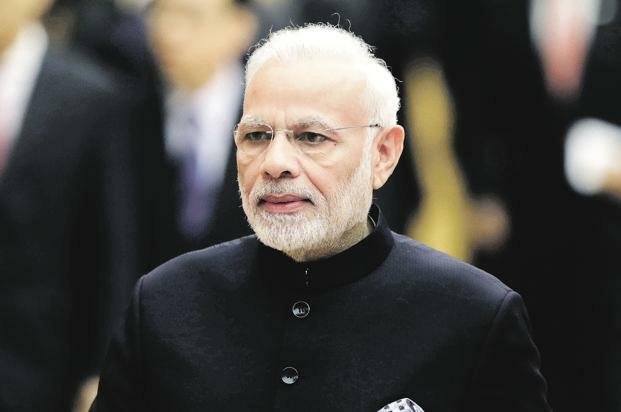 Vijaypur (Samba): Ahead of Lok Sabha polls, Prime Minister Narendra Modi on Sunday promised creation of “Naya Bharat” while addressing a rally here after laying foundation of AIIMS and other developmental projects worth Rs 35,000 crores. “We will create “Naya Bharat”, which will see progress and development,” said the Prime Minister. In his 30-minute long address, Mr Modi wooed farming community asserting that his government stands by them and works for their welfare. He however, took a jibe at Congress party for “ignoring” farming community and befooling them in the name of “karz mafi”. “Congress is playing fraud with farmers in the name of ‘karz mafi’,” he said and added that these schemes were mere eye wash by previous “remote control” Government and the real farmers get nothing but instead only brokers were getting benefits from “karz mafi”. “My Govt will do everything to help them and keep them connected with the India,” he maintained. Prime Minister also praised Jammu and Kashmir Police, security forces and army operating in the state. He said 14,000 bunkers are being constructed along borders for border dwellers so that they are secured from border firing.